Advertise your business with these full-color wall calendars! This 13-month commercial wall calendar is perfect for your clients and employees. 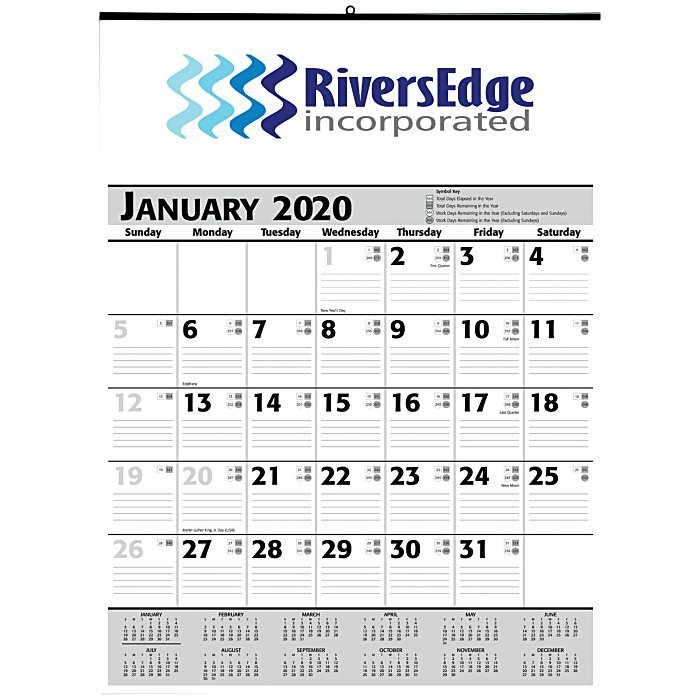 Large date blocks feature ruled lines to keep their daily reminders and appointments organized. 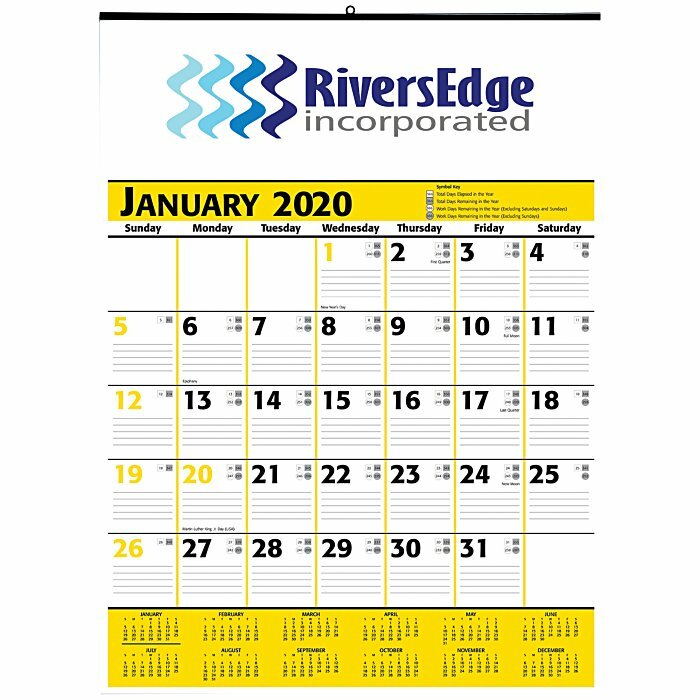 Includes symbols denoting the days elapsed and remaining in the year, as well as work days remaining. Clearly identifies holidays and phases of the moon inside the date blocks. 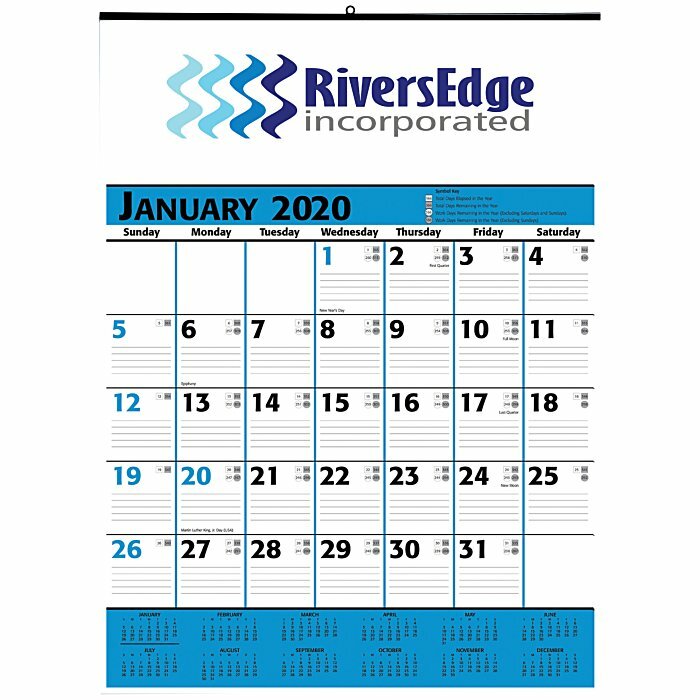 Features a full year mini calendar along the bottom for quick reference. 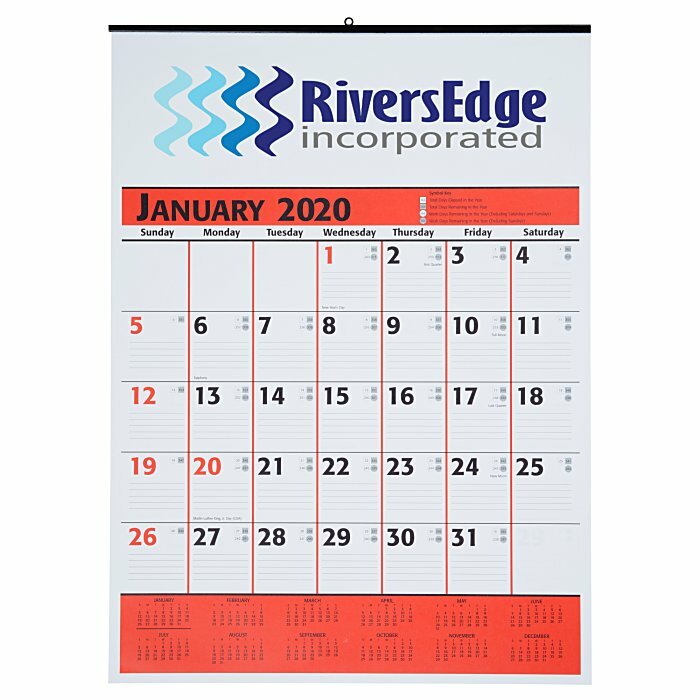 Your price includes a full color imprint on the top of the calendar. Ready to ship in : 16 business days *.